Robi 300 Minute 75Tk Offer! 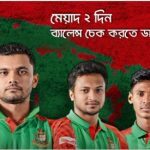 Bangladeshi second mobile operator Robi has come for their valuable customers to Robi 300 Minute 75Tk offer. All customers can receive to Robi to Robi 300 minutes only 75 tk. The customers who want to talk their friends with small call rate offer. 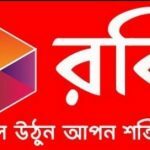 Today I will share for all users to about Robi 300 Minutes only 75Tk offer. If you want to enjoy or active this offer, just read this full article and follow the next instruction. To active this free minutes offer, customers need to dial USSD Code *8666*89#. Validity this 300 minutes in 7 days. Open to all Robi prepaid subscribers. The Bundle can be purchased through USSD dial only. Bundle minute cannot be transferred through balance transfer. Customers can buy the bundle pack as many times as they want. Bundle Min Pulse: 10 second. To check your bundle minute dial : *222*2#. Now all customers to know or can get all update information to about Robi 300 Minute 75Tk Offer. Have you any question about Robi 300 Minutes offer, just comments the box. We try to answer as soon as possible.